If you're going to book Scottish salmon fishing or are in need of some good old solid advice on any aspect of this fascinating sport then ask the boys that have been at the 'coal face' and not those who think they know what they're talking about. Naturally you would't take driving lessons from an driving instructor who couldn't drive so turn to the professional ghillies of Scotland if you need advice about salmon fishing. We eat, sleep and breath this industry and are far more astute than any 'half boiled' wannabe ghillie agent could ever be. The professional ghillies of Scotland are the adhesive that provides the main marketing inertia and I'll explain further in the next few paragraphs. A professional ghillie who's committed his entire life to this industry has made that move in all cases through a deep routed love for salmon and the Scottish river environment. He's not taken on a low wage career for commercial gain like the bulk of population are pursuing so keep that in mind after your days fishing and make sure you show your appreciation of his dedication. If you've got a good set of ears a professional beat ghillie can give you snippets of highly relevant salmon fishing knowledge that he's picked up over his years of river life and from his fascination of the sport. Never turn up on a salmon beat without giving the beat ghillie his place and the respect due and treasure the relationship as it develops as this type of bond will last a lifetime if you treat it properly. On big river like the Tay the ghillie and guest relationship often develops much further as it can be a long day if there's no meaningful communication between the two parties when you're both out in the boat for several hours searching for taking salmon. For personal experience this is when the relationship goes from strength to strength and when both parties really get to know one another. A professional beat ghilllie and the relationship you have with him is way more important than catch statistics, water levels or any of that other rubbish as it's the man that holds the main attraction of the beat and these men are the professional men of Scotland who are the beat ghillies. 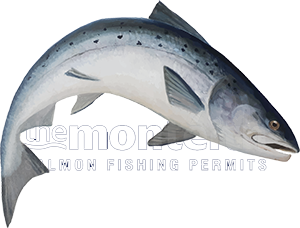 The most potent marketing component outside the sheer beauty of the salmon rivers of Scotland are indeed the professional ghillies and it is them who ultimately run the show.